Have you ever worked with a graphic designer and you wondered what the heck they are saying to you? Do you feel clueless about the design world and wish you knew more? Well lets learn what they are saying to you! ML Creative wants to help you, the consumer, to understand the terminologies that are used by graphic designers, printers and web designers. We want to help you stand on your own two feet and feel confident about what is being said to you. Every week we will post some words and their meanings to help you feel more confident about working with these talented people. To get this rolling we would like to share some common terms this week that are used in today’s design world. Vector Graphic – Vector Graphics are made of paths that have a start and an end point, along with curves and angles. A path can be a line, a square, a triangle or a curved shape. Vector Graphics are not made of pixels like JPEGs (Joint Photographic Experts Group), GIFs (Graphics Interchange Format) and BMP (Bitmap) images. Because vector based images are not made of a specific number of dots they can be scaled to a much larger size without losing any quality. Bleed – Any design element that extends up to or past the edge of a printed page. High Resolution (aka Hi Res) – An image that contains a large number of pixels in one unit area that produces a sharp detailed image. So the more pixels you have in an image, the better the quality you will see. DPI (aka Dots Per Inch) – used to measure the resolution of an image both on screen and in print. Don’t get confused, these are dots per linear inch not square inch. The higher the number the better the detail. Four Color Process – A printing process in which artwork is produced on separate metal plates creating a printed piece. Process colors are a non-standard color produced by using four colors Cyan, Magenta, Yellow and Black. Want to make your pocket folder and printing life a whole lot easier? Just follow these steps and it will all go smooth. 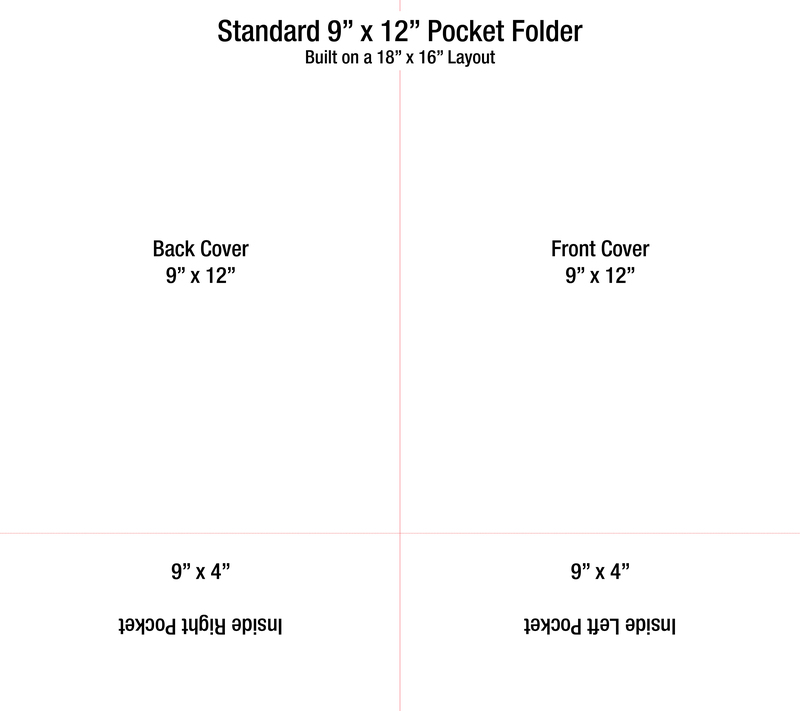 Most pocket folder designs are the standard size 9″ x 12″ (closed) with either one or two 4″ pockets on the inside. One of the most often made mistakes that cost designers money is creating their design in multiple files (cover, back cover and pockets separated), instead of one file. When designing your pocket folder in this way the printer or you will end up fixing it, either way it will cost you extra money and time. 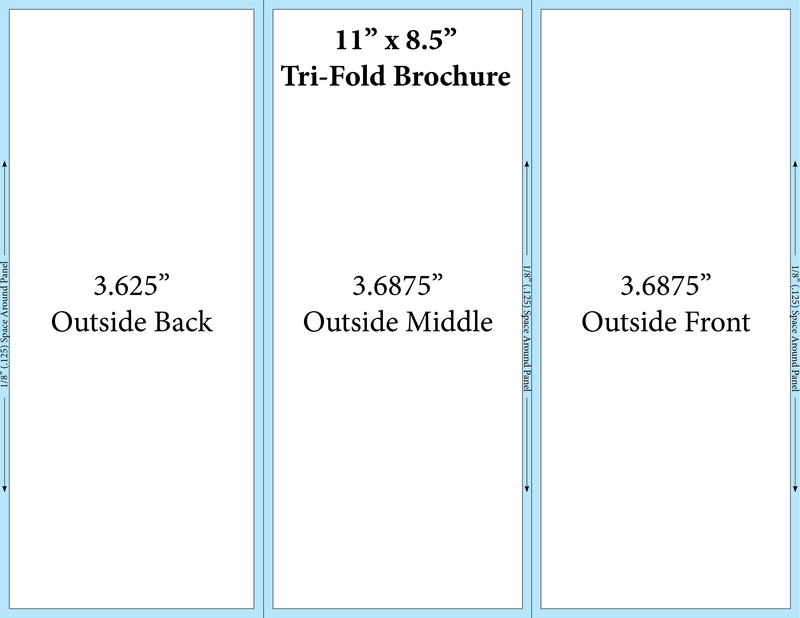 In your design program set your page up to be 18″ x 16″. 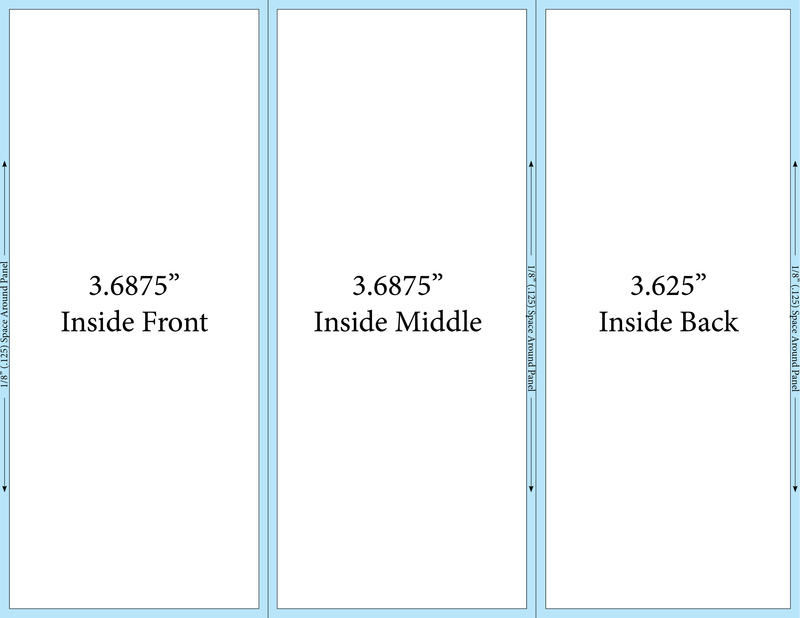 Set your vertical guide to be at the 9″ mark to split the outside front cover (right side) and outside back cover (left side). Set your horizontal guide to be at the 12″ mark to split up the covers from the pockets. Remember, these pockets will fold up, so if you have text or a picture they must be set upside down, so when the pockets are folded they will be right side up. Don’t forget to add .125″ (1/8″) bleed if you are planning to cover your pocket folder with color. We hope this helps you in your design process. If you have any questions or comments please drop us a line.